Blurb Description: A ruthless young assassin continues her journey for revenge in this new epic fantasy from New York Times bestselling author Jay Kristoff. Jay Kristoff is an EVIL MASTERMIND that manages to warp my perceptions of what great books are every time I dive into another one of his masterpieces. 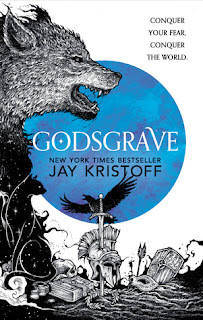 BASICALLY, GODSGRAVE AND THIS ENTIRE SERIES WAS BRILLIANT AND I DON’T KNOW WHAT TO DO WITH MYSELF AFTER THAT CLIFF HANGER OF AN ENDING. I’ve been holding on to my review copy of Godsgrave (Thank you Harper India!) for a while now because I was waiting for the perfect time to put myself through ALL THE INSANITY that makes up The Nevernight Chronicles. Godsgrave, the second book in this trilogy, was INTENSE, even MORE #StabStabStab than the first book (is that even possible?) and really showed you the Republic of Itreya in a brutal, harsh light. There was so much Roman culture like Gladiators and the very republic itself and IT WAS ONE OF THE BEST WORKS OF (BLOOD FILLED) LITERATURE I’VE EVER READ. 1. If you’ve read Nevernight, or even my review of Nevernight, you’ll know that the world and the book had a slow start, and it took a while for me to really get into the series. 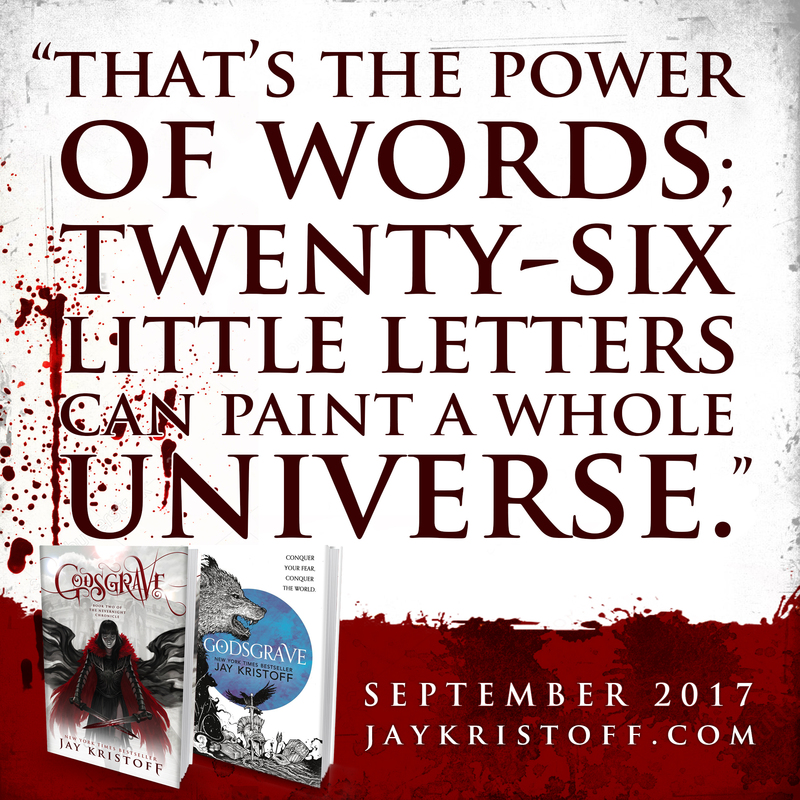 Once I did, though, Nevernight was one of my few five star reads of last year and Godsgrave found it’s wat on my most anticipated list! 2. Godsgrave rivalled Nevernight when it came to pacing, the book throwing you into the fast paced deep end from the very first chapter. The pace and with it, the bloodshed, gore and dark humour worked perfectly in co-ordination with each other and it resulted in this EVIL, STABBY MASTERPIECE. 3. THE CLIFF HANGER ENDING AT THE END OF GODSGRAVE WAS 32 DIFFERENT KINDS OF INSANE. Do you know how normal plot twists have only one major reveal at the end that makes your jaw drop? Godsgrave had FOUR reveals, at the very least. I sped read my way through the last few chapters and then flipped backwards and read it all again because THE ENDING WAS STUNNING AND TWISTED AND I LOVED IT AND ALSO NEED BOOK THREE. 4. I loved how much more of the Republic we saw in Godsgrave. It really highlighted the problem of slavery that Iterya was built upon, the few rich feeding off the many, gladiatii and everything else. 5. I also loved that this book was SO INCLUSIVE, and despite the fact that the Republic is a less than ideal place to live in, it was still completely accepting of absolutely anyone on the LGBT spectrum because it was the NORM in this world. 6. I CANNOT EVEN EXPLAIN HOW THE STORY, THE WORLD, MIA, MISTER KINDLY AND ECLIPSE EVOLVED IN THIS BOOK BECAUSE EVEN SAYING A SINGLE THING IS SPOILING IT, BUT IT WAS ALL SO SO BRILLIANT. I loved reading each and every of the 400+ pages in this book because it kept your undivided attention throughout. 7. I SIMPLY MUST MENTION ALL THE SASS IN THIS BOOK because it made a laugh, snort and FALL IN LOVE. Yes for ominous shadow creatures that eat fear and spill sass like there’s no tomorrow. If you can’t already tell, I ABSOLUTELY LOVED Godsgrave. Jay Kristoff somehow managed to OUTDO himself with the book and I am so in awe of every book he writes. 5 Blood Encrusted Stars. Have you read the Nevernight series? What do you think of it? 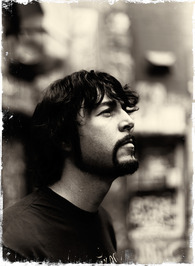 Are JAY KRISTOFF and all of his INSANE books on your Auto-Buy List? What are some of your favourite books with Assassins?